Copyright 2018 KUVO . To see more, visit KUVO . Schools in Colorado are grappling with how best to discuss the health consequences of marijuana in light of recreational pot legalization. As Bente Birkeland from Rocky Mountain Community Radio reports, some schools are now starting to change how they teach students about the drug. 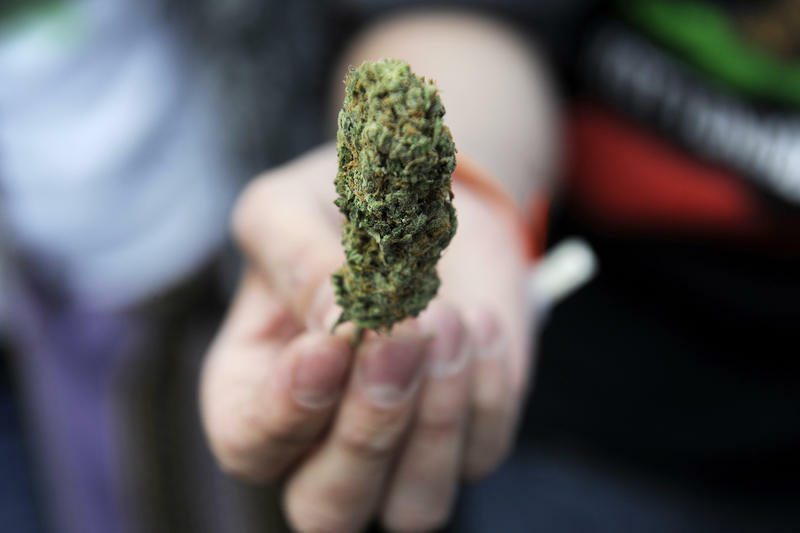 BENTE BIRKELAND, BYLINE: Like many schools across the state, overall drug incidents at Arapahoe High Ridge School in Boulder have increased since recreational marijuana came legal. While public schools aren't required to separately report marijuana incidents from other drugs such as cocaine, evidence compiled by Rocky Mountain PBS I-News suggests more students are using marijuana. ODETTE EDBROOKE: Especially since we use the phrase recreational marijuana. Recreational implies it's fun, and it's something you do in your spare time. BIRKELAND: Odette Edbrooke is the health education coordinator for the Boulder Valley School District. The last statewide upsurge in school incidents happened several years ago after medical marijuana dispensaries opened. Edbrooke says changing attitudes around marijuana are sending students a mixed message. EDBROOKE: When it's legal for your parents to smoke it or grow it, that changes the conversation. BIRKELAND: This year, Boulder Valley School District is bringing a neuroscientist to talk to health classes about the impacts of marijuana on brain development. The Colorado Department of Education hasn't changed its state-wide health curriculum guidelines since voters legalized marijuana. Up to this point, the state has used money from marijuana taxes to put out a series of PSAs on its negative effects. UNIDENTIFIED WOMAN: And did you know marijuana edibles pose a poisoning risk for kids who may think they are eating regular food. ALBERT AMAYA: I feel like, in comparison with things like alcohol and cigarettes, marijuana has far fewer long-term side effects. BIRKELAND: Sixteen-year-old Albert Amaya is a sophomore at Miami Yoder High School, east of Colorado Springs. He says no education campaign, either in school or on TV, could change his opinion. AMAYA: I saw one of the smoking commercials, and, like, this guy couldn't start a barbecue because he was high. That's taking it to the extreme, I think. I don't think that just because you're high that you can't function. BIRKELAND: For Amaya's classmate senior Mercedes Wisenbaugh, what she learns in school isn't as effective as what she experiences in her own life. MERCEDES WISENBAUGH: I've seen my family members. I've seen how lazy they get. I see how unmotivated they get. I see how they're not tuned into reality. They're in a different fog than everybody that does not smoke marijuana. BIRKELAND: The Colorado Department of Public Health and Environment is working on marijuana education that takes a more holistic approach. MIKE VAN DYKE: To develop science-based messages that can go into public health campaigns. BIRKELAND: Health department toxicologist Mike Van Dyke. VAN DYKE: Marijuana's unique because you have - I mean, this is a substance where you have a large community of people that really claim that it has a lot of health benefits. I mean, you don't see that with tobacco. CAROL GIBBS: The messaging that probably I give my son and that I would like the school to pick up on - I would like them to be given better coping skills. BIRKELAND: Mother of four Carol Gibbs says she's most concerned about the loss of drive. She wants her 16-year-old son to learn the best ways to deal with the stress of adolescence. GIBBS: When things get tough, I want these kids to have more options than relaxing with a joint or getting lost in their electronic devices. BIRKELAND: To that end, Colorado recently awarded grants using marijuana tax revenue to help school districts hire nurses, psychologists, counselors and social workers. Other states that have legalized recreational marijuana - Oregon, Washington and Alaska - are also leaving health curriculum decisions up to individual school districts. For NPR News, I'm Bente Birkeland in Denver. Transcript provided by NPR, Copyright NPR. Shortly after toking up, a lot of marijuana users find that there's one burning question on their minds: "Why am I so hungry?" Researchers have been probing different parts of the brain looking for the root cause of the marijuana munchies for years. Now, a team of neuroscientists report that they have stumbled onto a major clue buried in a cluster of neurons they thought was responsible for making you feel full. 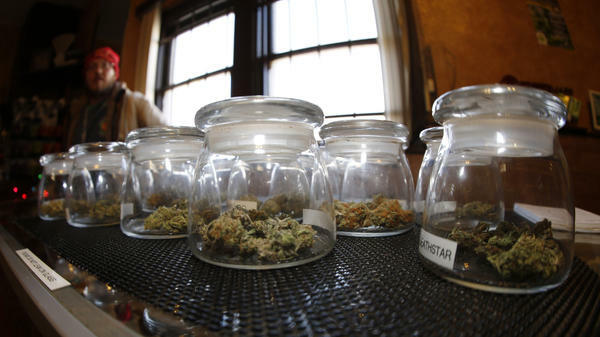 Across the country, efforts to make marijuana more accessible have quickly gained traction. Medical marijuana is now legal in 23 states, and recreational use is also legal in four states and the District of Columbia. Science, however, hasn't quite caught up. Largely due to its illegal status, there's been very little research done on marijuana's health effects. And researchers don't fully understand how pot affects the developing teenage brain. This may explain the why the nation's pediatricians have changed their recommendations on marijuana and children.